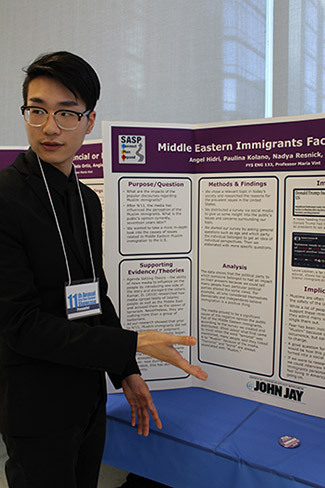 On December 6, John Jay held its 11th annual First-Year Student Showcase, highlighting the research and creativity of the freshman class. 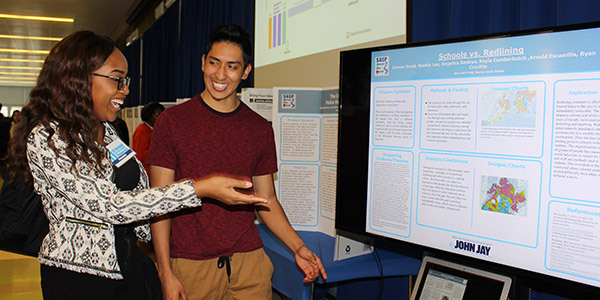 The showcase gave students—many of whom have never conducted research or presented in front of a large group—the opportunity to shine. 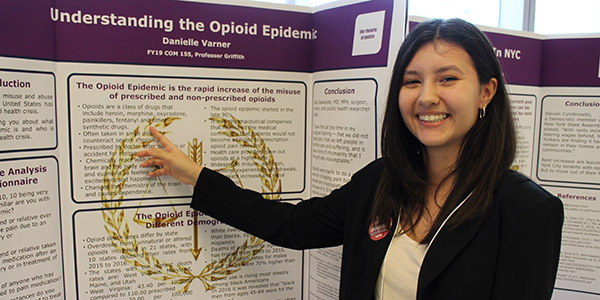 More than 375 presentations covered a broad array of topics, from immigration and the opioid epidemic, to police brutality and medical insurance. 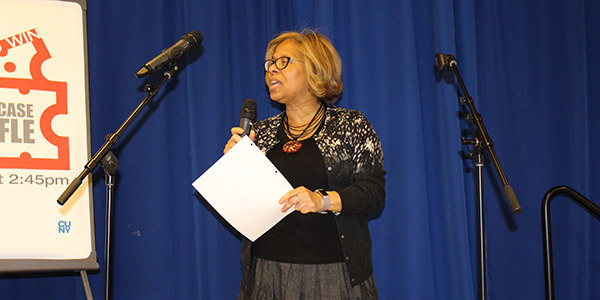 After thanking the 73 faculty members, staff professionals, and student coaches that helped guide the first-year students through their research, President Karol V. Mason got the crowd going by calling out each of the groups heavily represented at the event—APPLE Corps, ACE, Adelante, Early Start, and SEEK. 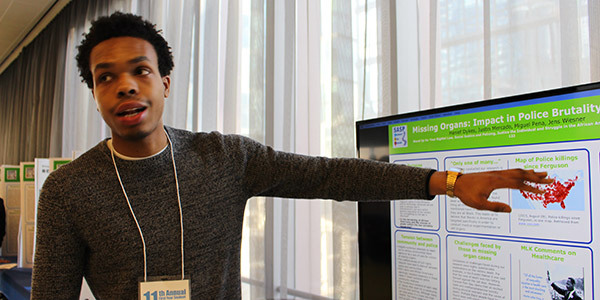 “I’m excited to walk around and see all of your research,” said Mason. “And please walk around and learn from each other. 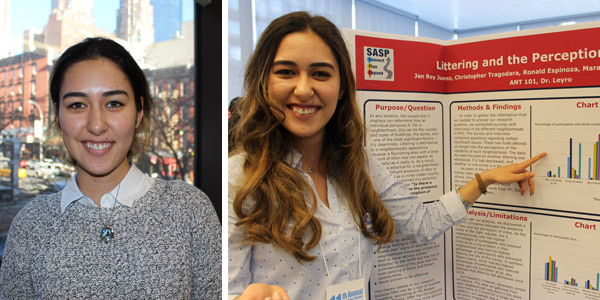 That’s what we’re here for.” To find out more about the First-Year Student Showcase experience, we had the opportunity to interview two incredible students before and during the event. 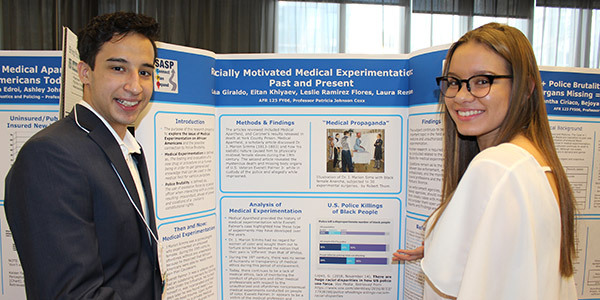 Wu went on to explain that coming from Taiwan she wasn’t familiar with racism in America, but to give her research context, she researched discrimination against black Americans both currently and historically, specifically Dr. James Marion Sims’ medical experimentation on enslaved black women without anesthesia. 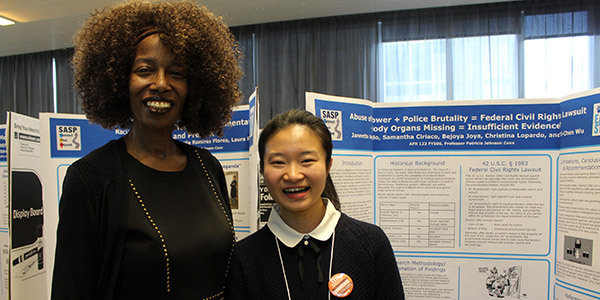 “They justified their practices by saying that blacks are insensitive to pain and that they are subhuman,” said Wu. 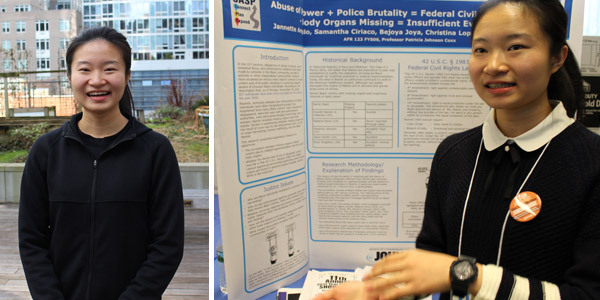 “In Get Out, they took away black people’s organs because they believed that blacks were physically supernatural.” Wu hopes that her presentation helps others become more aware of their rights when a deceased victim’s internal organs go missing, and she hopes to go back to Taiwan and help formerly incarcerated people transition back into society. Understanding the conclusions of her research, Artykova urged everyone not to create stereotypes about those that live in litter-filled neighborhoods. “We talked to the people in the neighborhoods that had a bunch of litter, and they were very nice and interested in this topic,” said Artykova. 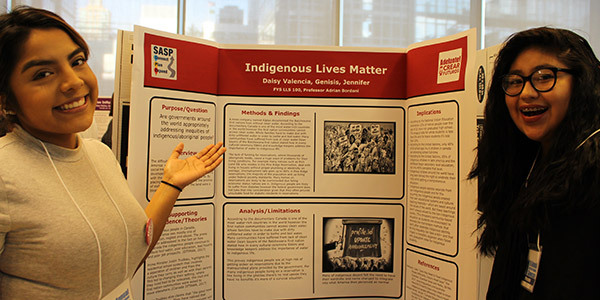 “It’s very wrong for us to assume that because there is litter in a neighborhood that it’s a dangerous place and no one should go there.” Artykova hopes that her presentation helps others become more aware of the labels people create based on initial perceptions. 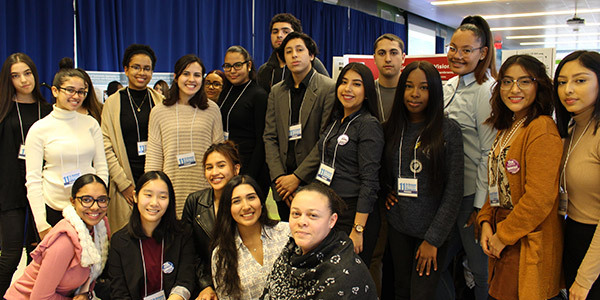 “I am interested in breaking down stereotypes because I am an immigrant and I advocate for those who are wrongly accused of being bad people,” she said. 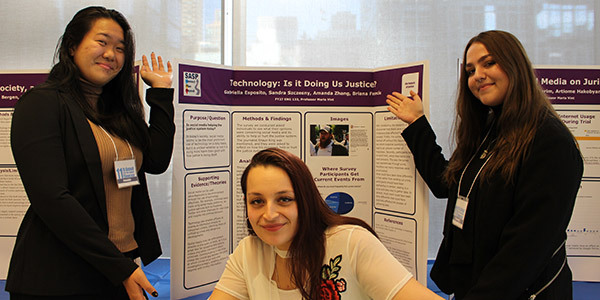 “One of my solutions for this project was to look into the Department of Sanitation’s budget and see how we can allocate some money into cleaning up these neighborhoods and changing the stereotypes.” Using this presentation as a stepping stone, Artykova is looking forward to one day working in the Community Affairs Bureau of the NYPD where she can use her public speaking and people skills to improve communities.